Power, speed and a clash of styles will be on display this month when two of boxing’s biggest stars go toe-to-toe for the welterweight world championship. 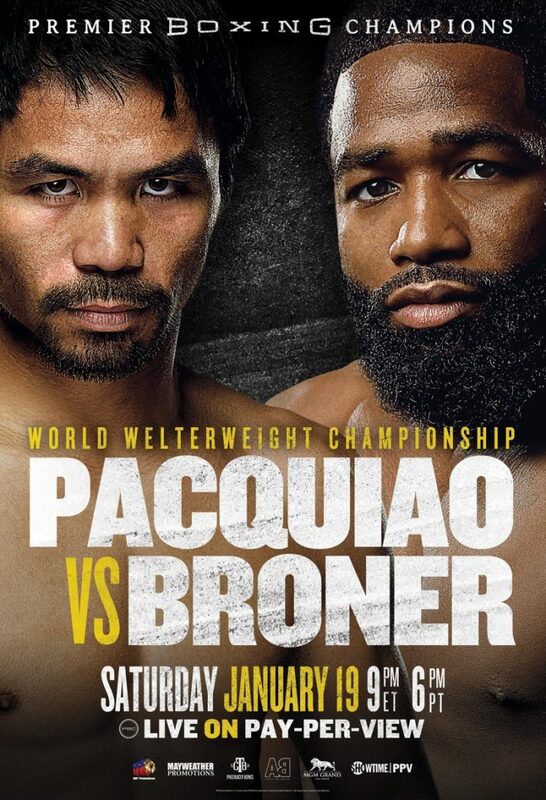 Ending his two-year hiatus from a U.S. boxing ring, boxing’s only eight-division world champion Manny “Pacman” Pacquiao returns to defend his WBA welterweight title against former four-division world champion and must-see attraction Adrien “The Problem” Broner. Broadcast live from the MGM Grand Garden Arena in Las Vegas, “Pacquiao vs. Broner,” and its co-featured fights, will be shown on big screens across the nation.